It’s not clear how vehicles that have passed the mandatory annual ‘MoT’ test, which includes an emissions check, can then be selectively penalised for causing air pollution. London seems to be saying an MoT pass is not good enough, in some cases at least. London motorists driving older, more polluting vehicles must pay a new charge from Monday as part of one of the world’s toughest vehicle emissions programmes, reports Phys.org. 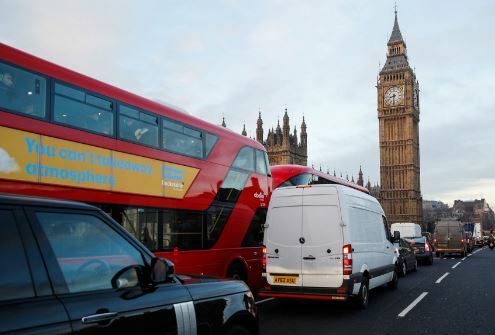 The ultra-low emission zone (Ulez) charges certain polluting vehicles a £12.50 ($16, 14.5 euros) fee to enter the centre of the British capital under mayor Sadiq Khan’s plans to reduce air pollution. Anyone driving a diesel car more than around four years old or a petrol car more than around 13 years old will pay the charge, although the vehicle’s declared emissions will be the official measure. Larger vehicles, such as lorries and coaches, that exceed the limits face a daily charge of £100.